This is a public service announcement to you tall women: get your legs out. Now. There's lots of them; put some opaques on and show them off. The best way to pull this off is to just not give a damn. That really goes for everything clothes-wise, but particularly with short skirts. 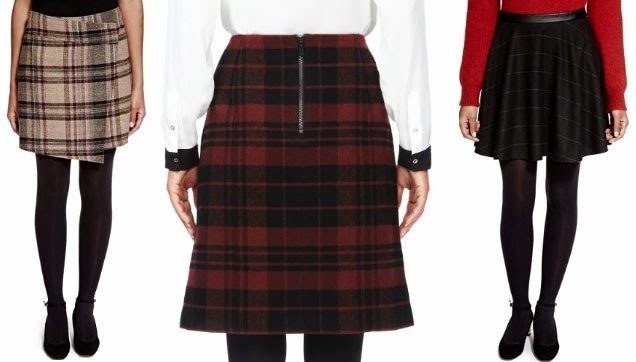 You also don't need to get them from the tall range - tall ranges have never mastered short skirts, or arguably even pencil skirts - so just try them on and make sure you don't feel like you could be arrested (eg: I am not remotely convinced by this one from Topshop Tall). I don't usually venture into Jigsaw, but made a beeline for it last night having clocked some extremely fine tartan trousers on their website. 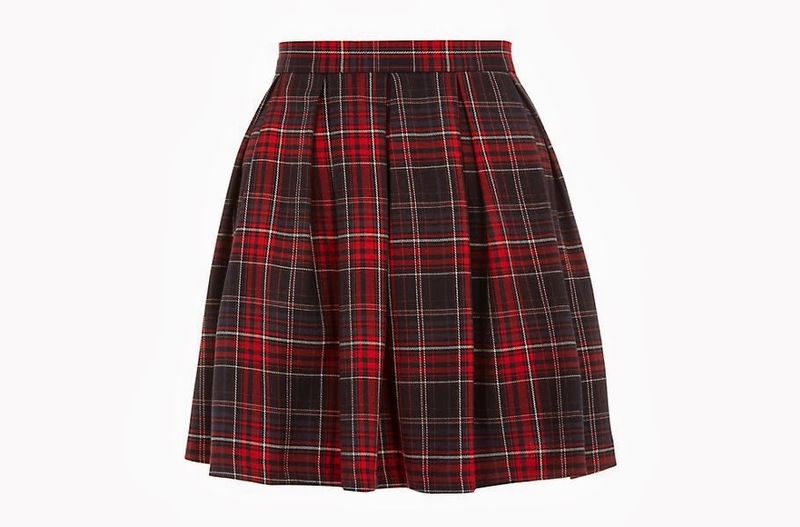 If you've got the cash (£89), this Lomand check skirt is a scrumptious shape in a lovely fabric. Team it with your favourite jumper, some autumnal patterned tights and either boots or brogues. M&S is going great guns for kilty skirts again, and these are three of my favourites. Moving across to blue, this wool-blend skirt from ASOS ticks all the kilty goodness boxes with exposed zip, pleats, breathable thick fabric, high waist and looking quite fit. It's £35. Skater skirts are brilliant. I love the flare, and I love the fact they fit at the waist so you can belt them and tuck a sweater in. At the cheaper end of the scale, this one from New Look is lovely, and £17.99. As ever, be extremely wary when bending over in any type of mini skirt. If you've spent months merrily bounding around in jeans and midis, things can go Horribly Wrong very quickly, so as well as getting out the opaques, this is a great time to discover your inner finishing school maven and move around decorously. Now, show off those pins girls. Tall Girl Treat: Sparkles ahoy!